The advent and ever growing popularity of social media and messages has overshadowed the email when it comes to communication with your friends and family. However, when it comes to the professional front, the email gets the pride of place as the most widely accepted formal channel of communication. Needless to say, a well-written email can make it easy for you to communicate ideas and share updates with your colleagues and team members. Moreover, if your profile requires you to interact with clients or prospective customers, knowing how to write an effective email can go a long way in helping you build a positive impression of your company. Surprisingly enough, writing the “perfect” email every time is easier than you think (yippee!!). 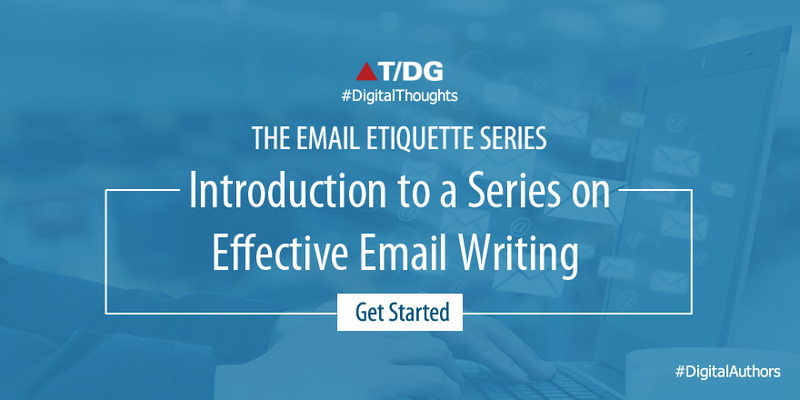 Just like every other process, there are certain DOs and DON’Ts that you need to pay attention to, and the ‘Email Etiquette Series’ is designed to help you do just that. In this series, we shall begin with an overview of the basics of email writing and then move on to specific email types, some of which are given below, and understand the nuances of each. Transactional emails … and many more! Allow me to introduce myself. I am David Lee and I would like to introduce you to QARA Test, a test automation tool developed by The Digital Group. The zero coding tool is designed to meet the testing needs of your organization, and help you implement automated test case management. QARA Test is a result of our commitment to excellence and our vision to broaden the access to quality test management software. If you are a testing enthusiast or looking forward to switch to test automation to meet your testing goals, our team will be more than happy to assist you. You can even request for a no-obligation free trial to get an idea of how QARA Test can add value to your business. You can visit our website to learn more about the product through various marketing collaterals or contact us directly. Looking forward to a rewarding association with you. Which are the points in this email, that according to you deserve special attention? We shall cover them in the posts that follow. So, whether you are looking for simple email writing tips or for some tricks to master the art of writing marketing emails that work, there’s going to be something for you. So, stay posted!! Nice post, will keep looking for new content on email writing.